Within your own home is where your personality can truly shine. Of course through your every day fashion you can dress in clothes that shout out about who you are, however for those who are more conservative when it comes to dressing, within your own four walls there is no need to hold back through interior design! Bright pops of colour seem to be popular this year, and what better way to tell all about yourself than by adding some bright colours to your home? 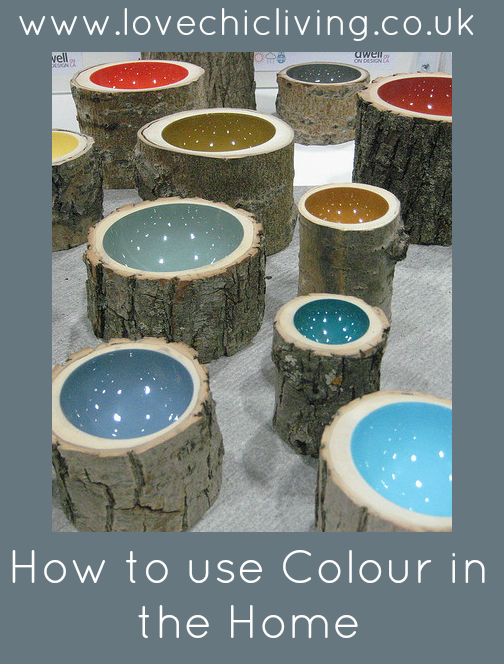 Each different colour can give an insight to how you are feeling or the mood you want to give a room. The colour red is a vibrant colour and one to really provoke strong emotions! It is commonly associated with feelings of love and passion, but also anger and evil at the opposite end of the scale. There is a saying about a fine line between love and hate and it looks like the colour red could prove this true. You should never use large amounts of red within a room; try to add it in as an accent colour through accessories. One room that this looks fantastic in is within a kitchen, it can be a fiery place anyway if you enjoy cooking a lot, so red would fit well. You can add it in through tea towels and toasters, also larger pieces of furniture in small doses such as breakfast bar stools from MDM Furniture. The colour blue is a soft colour especially compared to red; however it can still make you feel two different emotions. On one hand it is said to be calming and make you feel tranquil, but then it can also make you feel sad and well, blue! Blue can be used as quite a prominent colour within a room and is always a popular choice for a bathroom. The use of white and blue together gives off a calming feel and is also reminiscent of the sea waves with the white representing the foam. The colour purple is said to be a very regal and luxurious colour. It is usually more popular among women, however is definitely more accepted within a home with men compared to something like pink! Similar to blue it can be a calming colour, but as it is a mix of red and blue it also has an added bit of warmth to it too. It is said to be mysterious and elegant and it works really well within a bedroom. Just like the smell of lavender it should help you drift off into a peaceful sleep to feel refreshed on a morning. Finally green which although is created by mixing blue and yellow together, feels like a very natural colour. It gives off a feeling of the outdoors, nature and also makes you feel tranquil. It is said to relieve stress which makes it the perfect shade to put in your living area. This is probably the room where family and friends spend most of there time, so having the colour green surround the walls will allow you all to have a sense of calm after a tough day.